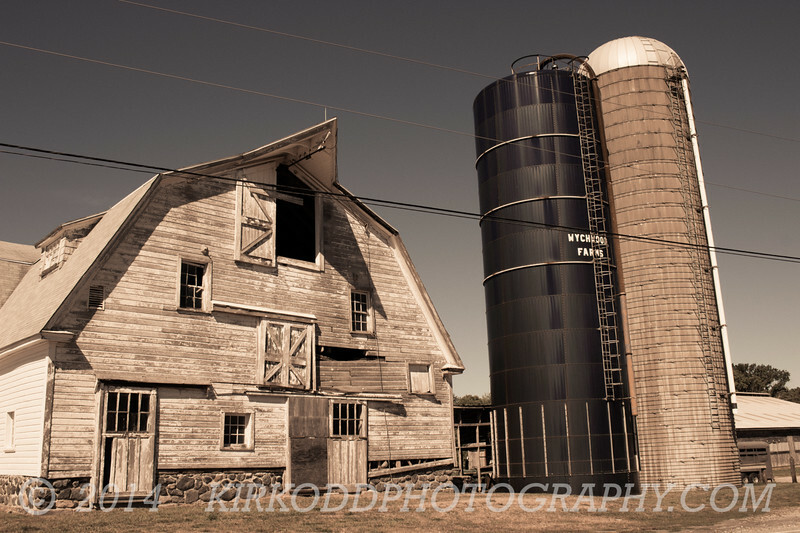 When driving around the back roads of North Stonington, Connecticut, we came across this farm. We took the shot through the window of the car in an attempt to preserve the "view out the window" that a passer-by would have seen when driving along this rural road. The photo just didn't look right in full color, so we used a few toning presets to age the image. The final image captures the the feel of an older New England.